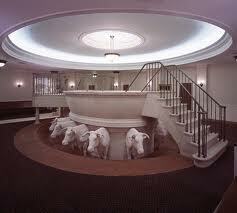 The baptismal font inside the Mormon temple sits atop twelve, usually all white, alabaster bulls which stand in a circle facing outwards. The font is in the basement of the temple which is supposed to be a “similitude of the grave”. The bulls and font are typically two stories tall. Baptisms for the dead are typically performed by twelve to eighteen year old kids who make a field trip type of adventure in groups with a leader in their ward (congregation). After exhaustive interviews performed by the Mormon bishop (pastor) of their ward to determine worthiness, the child is awarded the temple recommend required to enter into the temple. Once at the temple, the kids are ushered into the locker rooms where they can rent temple clothing and change into their all white clothes. No worker or patron does any work inside the temple while wearing street clothing. 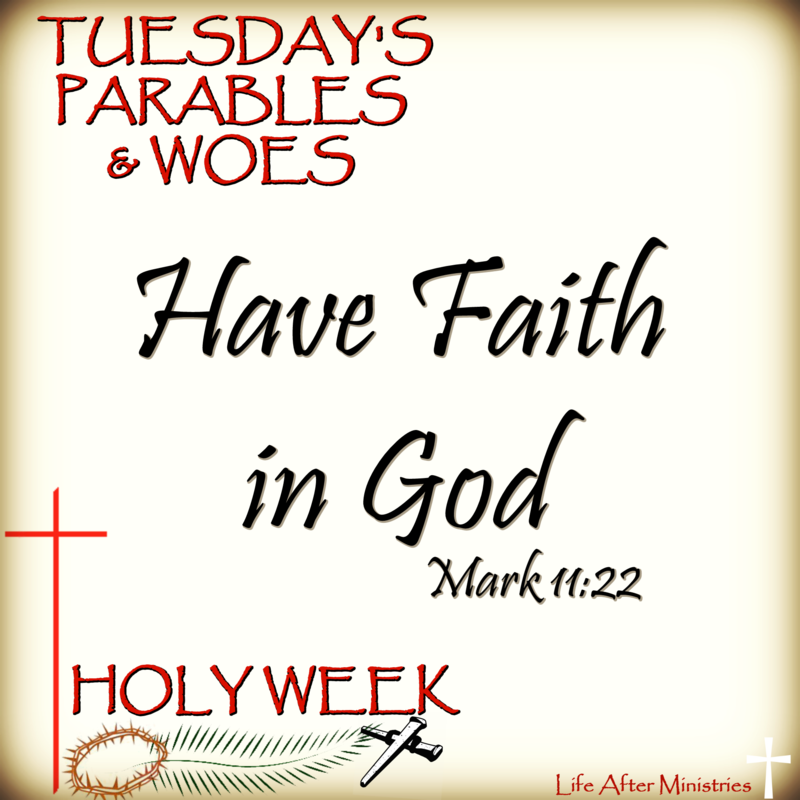 After a group prayer each child walks alone down a ramp or up some stairs to the baptismal font. At the end of the ramp the child steps into the font and down a few stairs inside the baptismal font where an officiator is waiting to perform the baptisms by proxy. The child stands next to the officiator on a platform inside the font while he prays a scripted prayer and inserts the dead person’s name at the appropriate times. Off to the side of the font or sometimes on the ceiling above is a large screen with the dead person’s name on it. The number of baptisms performed per child ranges anywhere from 10-200 for each visit depending on the needs at that temple. Brother [or sister] ______, having been commissioned of Jesus Christ, I baptize you, for and in behalf of _______, who is dead, in the name of the Father, and of the Son, and of the Holy Ghost. Amen. Confirmations of the dead is a ritual that takes place after baptisms for the dead is performed. The person being confirmed for a dead person is rarely the same person who was baptized for that dead person. The ceremony is performed with the person being seated in a chair and an officiator placing his hands upon their head to confirm the dead person is now a member of the Church of Jesus Christ of Latter-day Saints. Brother _______, in the name of Jesus Christ, we lay our hands upon your head, for and in behalf of _______, who is dead, and confirm you a member of the Church of Jesus Christ of Latter-day Saints, and say unto you, Receive the Holy Ghost. Amen. Reconfirmation is a ritual that is performed for those who are dead and lost their temple recommend due to ex-communication. This ceremony restores the temple blessings once lost to the member due to disobedience. Brother _______, in the name of Jesus Christ, we lay our hands upon your head [for and in behalf of _______, who is dead], and confirm you a member of the Church of Jesus Christ of Latter-day Saints, and say unto you, Receive the Holy Ghost, and confirm upon you all your former Church and Temple blessings. Amen. This ceremony is for those who’ve been baptized and confirmed a member of the Church while they are dead and are now receiving the office of the priesthood. Brother _______, having authority, we lay our hands upon your head, and confer upon you the Melchizedek Priesthood and ordain you an Elder in the Church of Jesus Christ of Latter-day Saints, for and in behalf of _______, who is dead, and seal upon you every grace, gift and authority appertaining to this office in the Holy Melchizedek Priesthood, for and in his behalf, in the name of Jesus Christ. Amen. Encyclopedia of Mormonism, pg. 1289; “To Latter-day Saints, the spirit world is as real as this world. By divine mandate, temple sealings are not only available to living persons, but are extended also to the deceased progenitors of a family through proxy ordinances performed in the temples. This process is known as salvation of the dead. Children born to parents who have been sealed in the temple are born in the covenant and thus are bonded to their parents for eternity without a separate ordinance of sealing. There are a few different types of sealing ceremonies performed in Mormon temples. They are Temple Marriage, Sealing Children to Parents and sealing dead relatives to either you and your family, or when you stand in by proxy for the deceased. Sealings are performed to bind on earth as it is in heaven taken from Matthew 16:19. Mormons believe the family unit stays intact in heaven and in order to be with your family in heaven you need to be “sealed” to them. Sealing Ceremonies take place in the “Sealing Room” of the temple. Inside this room is an alter with a place for patrons to kneel on either side facing each other while the officiator prays and has the couple repeat the sacred vows he’s given to them to say. When sealings are performed on behalf of the dead, the same prayers and oaths are used as those performed by the living with the insertion of the dead person’s name in the place of yours. Patrons are dressed in their priesthood robes. Temple marriages are performed to ensure the family unit in the hereafter continues and is known as “married for time and eternity”. If a couple was married outside of the temple, they are considered to be married for time only and won’t have “an increase” in heaven, meaning godhood. Parents who are married for time only and have children can be sealed in the temple and have their children sealed to them for eternity. Children born to those who are married for time and eternity are considered “born in the covenant” and their sealing to parents is automatic at the time of birth. Officiator: Will the Witnesses please take their seats at the head of the altar. Officiator: Brother ______, [naming groom] and Sister ______, [naming bride] will you please take your places and kneel opposite each other at the altar. Couple: Kneels opposites each other as requested. Officiator: Brother ______, [acting as proxy for ______, who is dead,] do you take Sister ______ [acting as proxy for ______, who is dead] by the right hand and receive her unto yourself to be your lawful and wedded wife for time and all eternity, with a covenant and promise that you will observe and keep all the laws, rites, and ordinances pertaining to this Holy Order of Matrimony in the New and Everlasting Covenant, and this you do in the presence of God, angels, and these witnesses of your own free will and choice? Officiator: Sister ______ [acting as proxy for ______, who is dead,] do you take brother ______ [acting as proxy for ______, who is dead,] by the right hand and give yourself to him to be his lawful and wedded wife, and for him to be your lawful and wedded husband, for time and all eternity, with a covenant and promise that you will observe and keep all the laws, rites and ordinances pertaining to this Holy Order of Matrimony in the New and Everlasting Covenant, and this you do in the presence of God, angels, and these witnesses of your own free will and choice? Officiator: By virtue of the Holy Priesthood and the authority vested in me, I pronounce you ______, and ______, legally and lawfully husband and wife for time and all eternity, and I seal upon you the blessings of the holy resurrection with power to come forth in the morning of the first resurrection clothed in glory, immortality and eternal lives, and I seal upon you the blessings of kingdoms, thrones, principalities, powers, dominions and exaltations, with all the blessings of Abraham, Isaac and Jacob [if living, he adds: and say unto you: be fruitful and multiply and replenish the earth] that you may have joy and rejoicing in the day of our Lord Jesus Christ. All these blessings, together with all the blessings appertaining unto the New and Everlasting Covenant, I seal upon you by virtue of the Holy Priesthood, through your faithfulness, in the name of the Father, and of the Son, and of the Holy Ghost, Amen. Rings may now also be exchanged, though it is not part of the ceremony. *Patriarchal Grip, or Sure Sign of the Nail. This token is given by clasping the right hands, interlocking the little fingers and placing the tip of the forefinger upon the center of the wrist. No clothing should interfere with the contact of the forefinger upon the wrist. OFFICIATOR: By the authority of the holy priesthood, I seal you, [the children are named individually], to your father _________ and to your mother _________ for time and all eternity, as an heir [or heirs] as though you were born in the new and everlasting covenant; in the name of the Father, and of the Son, and of the Holy Ghost. Amen. Few, if any Mormons actually know about the Washing of the Feet and the Second Anointing. The Second Anointing is reserved for those who are either the prophet or a member of the twelve apostles. While the Second Anointing does take place it is rarely spoken of although mention of it turned up in the Ensign in Feb. 2002. The only recorded instances of it show that Brigham Young and Heber C. Kimball along with his wife Vilate were the recipients of this ritual. In the article “The Fulness of the Priesthood:” The Second Anointing in Latter-day Saint Theology, pg. 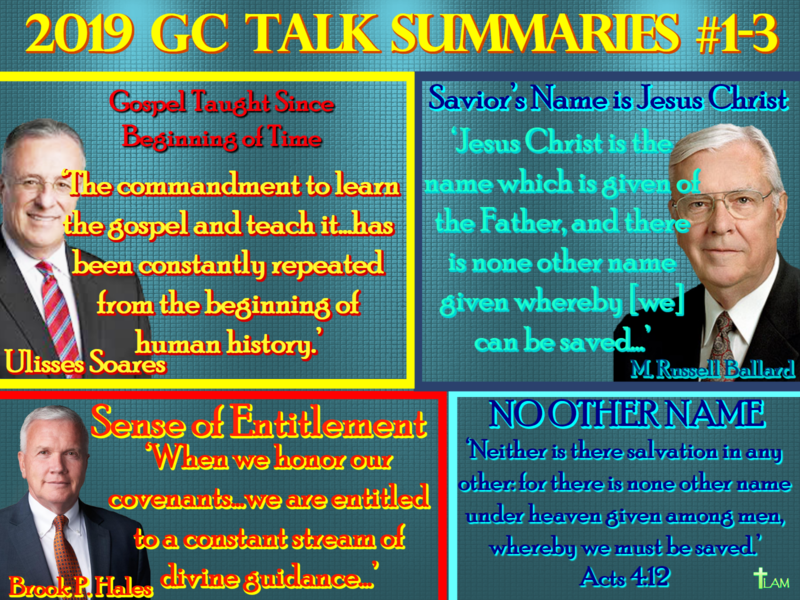 21, LDS researcher David Buerger mentioned that it is a guarantee of godhood status. 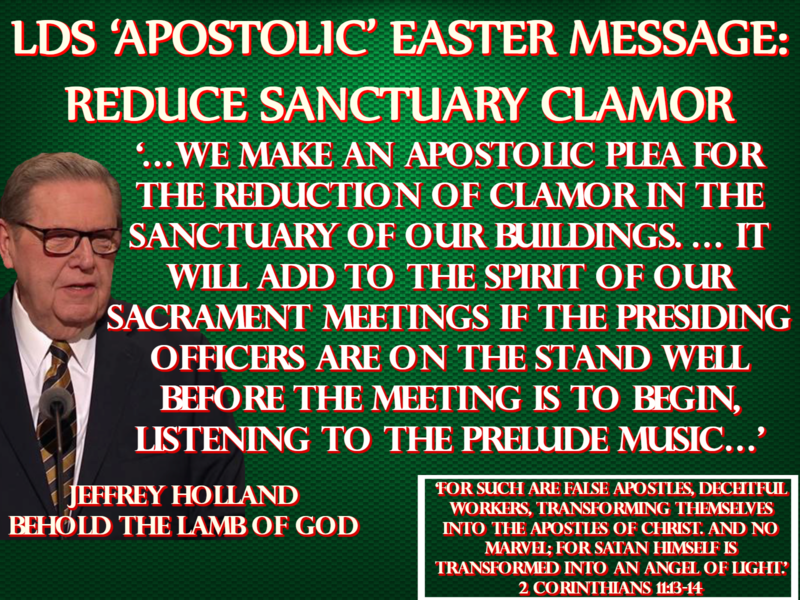 This ritual is performed in the Holy of Holies room of the temple and only administered by the prophet of the Church. The officiator anoints the head of the husband with oil and pronounces blessings upon him while also bestowing upon him the blessings of Abraham, Isaac and Jacob and the power to open the heavens and attain godhood status. The officiator then anoints the head of the wife while promising her that angels will minister to her and that she’ll be a queen and priestess to her god husband. She’s also told she will have posterity without end. The Washing of Feet takes place based on the story in the gospel of when Mary washed the feet of Jesus. After the husband consecrates a room in the couple’s home the ritual can take place where the wife washes the feet of the husband. She can then pronounce blessings upon her husband with whatever the Spirit directs her to do. 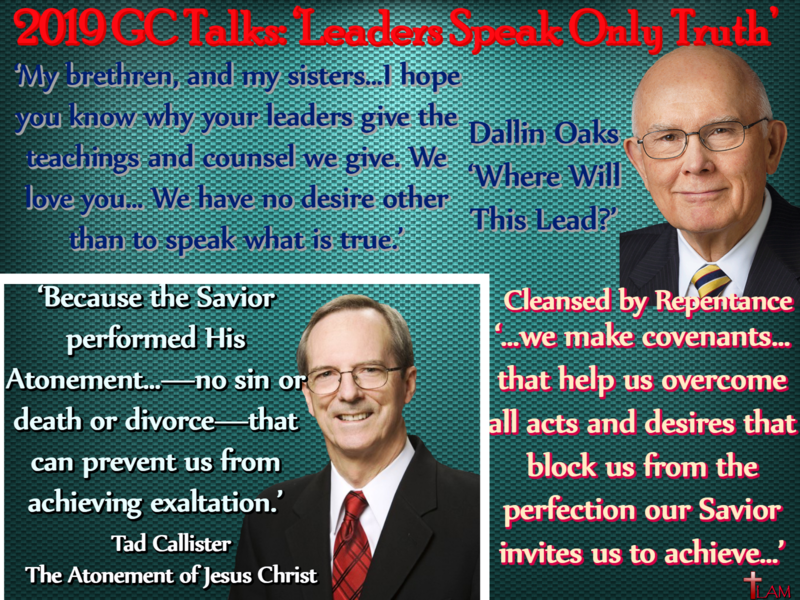 There are also accounts of a ritual taking place in the temple when President Taylor and the First Presidency took turns washing each other’s feet in the temple at Salt Lake.